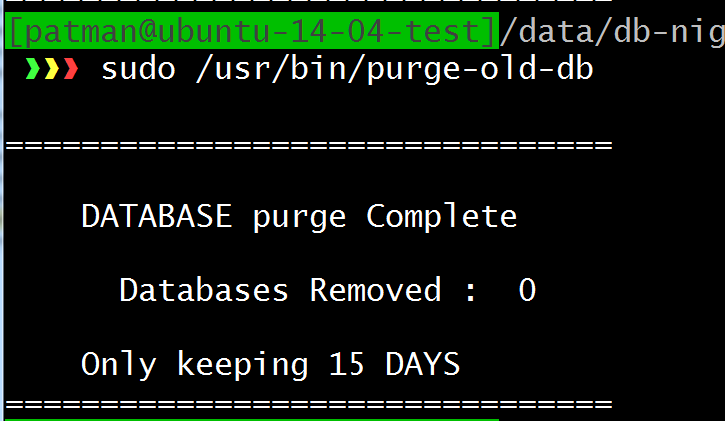 I am going to set up a daily backup of a Postgres 9.3 Database on an Ubuntu Server 14.04 server with Postgres 9.3 Installed. 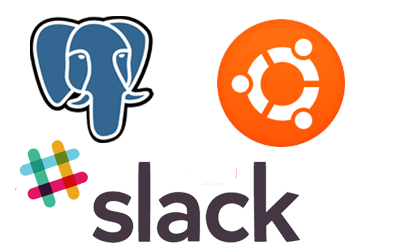 If you don't yet have Postgres 9.3 installed on your Ubuntu 14.04 system. It's very easy to install just run this command. This create a postgres user who has admin access to the postgres server. Switch over to the postgres user. This script should create two databases. Exit out of the postgres user and run a test to make sure you can connect to the database. Now try the same thing for the second database. OK it looks good ! Currently the database I have is empty. I want to load some information into it before I back it up. With this in mind I made a script to help me throw some dummy data in it quickly. This is going to be a python script that does require one tool that needs to be installed python-psycopg2. Tweak it to work with your tests. As is it inserts 100,000 records into a single table. Each string it inserts starts with a timestamp and ends with a random string. 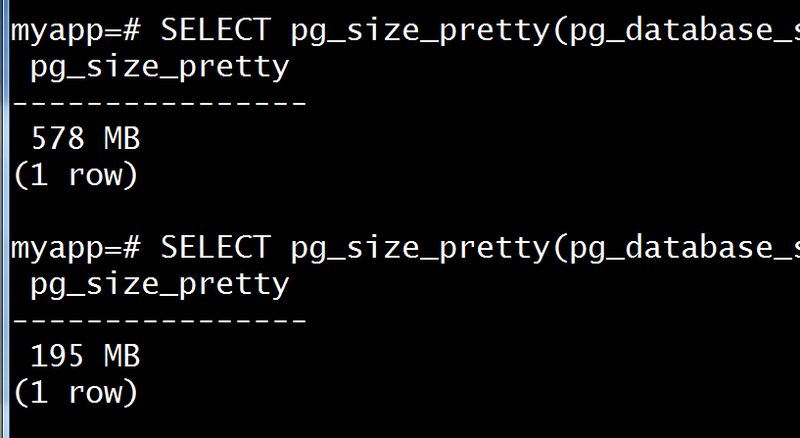 It looks like loading 10K lines this way gives me a Database of 9KiB in size. OK that got me 200MiB. 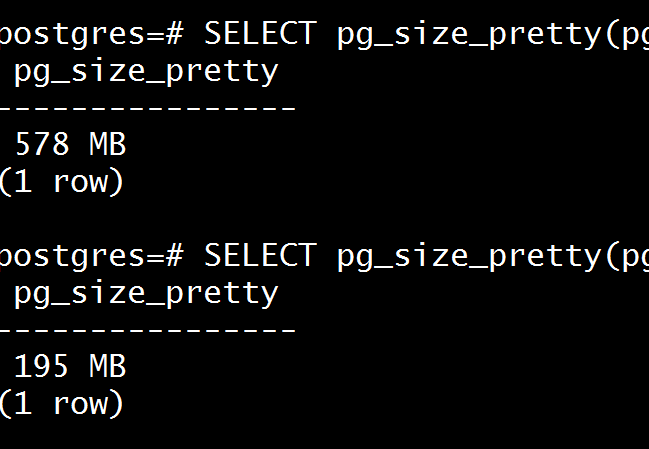 I am going to tweak the script a little to put data in the second database "myapp2"
To check the size run this command from postgres. With Postgres you have two tools you can use to backup your database. 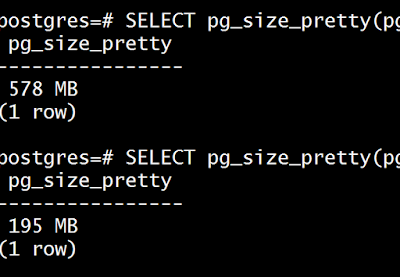 You can use pg_dumpall to backup the entire Database server or pgdump to just backup a specific Database. Just as a quick test I am going to run pg_dumpall and pg_dump on the command line then make sure its working before I make a simple bash script. Out of the box the only user who has permission to dump the database is the postgres user so switch over to that user first! That gives me two files one compressed and one not. Now dump the database, but only a named database. In my case I have a database called myapp. Two are dumpall and two just a single database dump. I have another machine with a fresh install of postgres 9.3 I am going to transfer these files to and attempt to load them in. Run a few commands to test the upload. 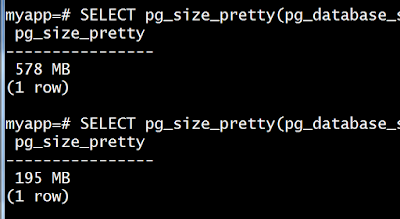 Since I want to test my other scripts is probably best to just remove and re- install postgres. 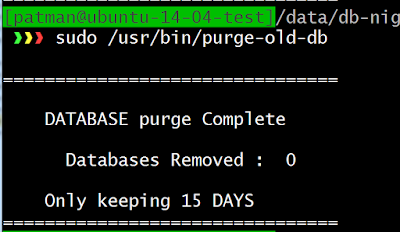 I found this post http://stackoverflow.com/questions/2748607/how-to-thoroughly-purge-and-reinstall-postgresql-on-ubuntu  where John Mee and Craig Ringer @craig2ndq lists an answer on how to do this. To wipe out the database and re-install. Then remove the database files and postgres user. You get an error. The database does not exist! The pg_dump only backs up the database itself it will not re-create it. A database needs to exists. Also it will not create the users for the database… it's basically just the data. 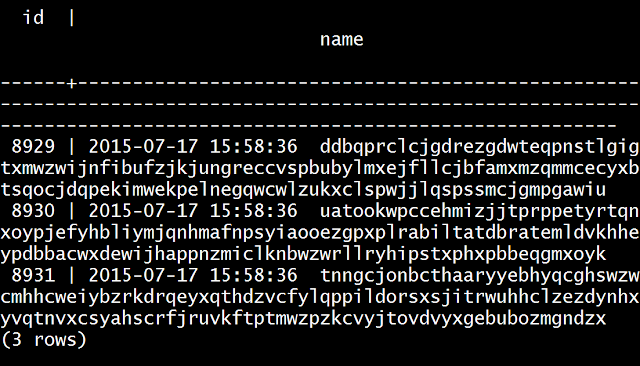 If I was only concerned about looking at the data as the postgres user I would just simply create and empty database and load this data to it. > psql -d postgres -c "CREATE DATABASE myapp"
This just creates an empty database called myapp. Now retry to load this database. 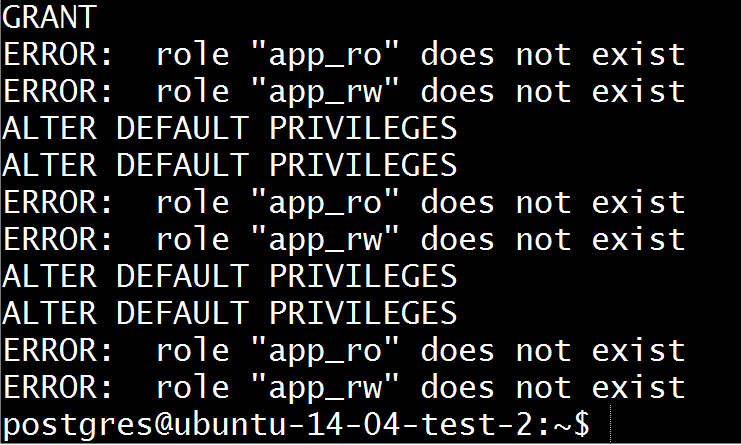 Ahh look some errors because my roles app_rw and app_ro don't exist! The error on checking the second database is right, since I have not uploaded it yet. 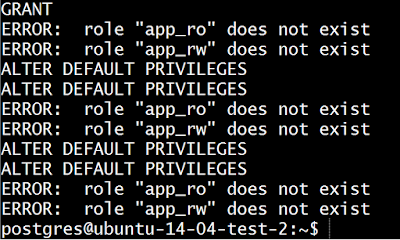 > psql -d postgres -c "CREATE DATABASE myapp2"
If you are doing a simple dump how do you fix the roles? You could just remake them by hand… which seems a pain or you could use pgdumpall --roles-only ! to get the job done. Move the file to the other server and run this to fix your roles. One error the postgres user already exists.. But I can't see my tables. The user permissions were in the dump file and since the users did not exist their permissions where not set. To fix that… Just drop the databases and reload them like this. > psql -d postgres -c "DROP DATABASE myapp"
> psql -d postgres -c "DROP DATABASE myapp2"
Create the two empty databases. 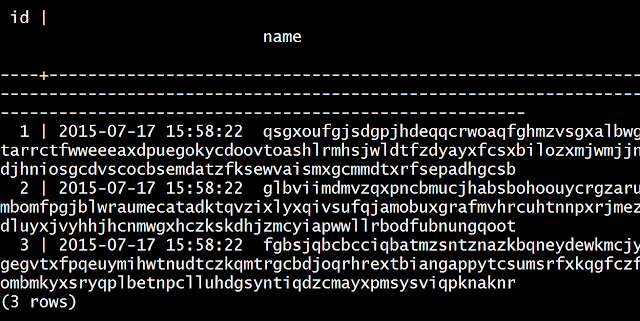 Then to upload the two bzip dump files run the following. OK, now that the testing is done lets set up a simple backup script. 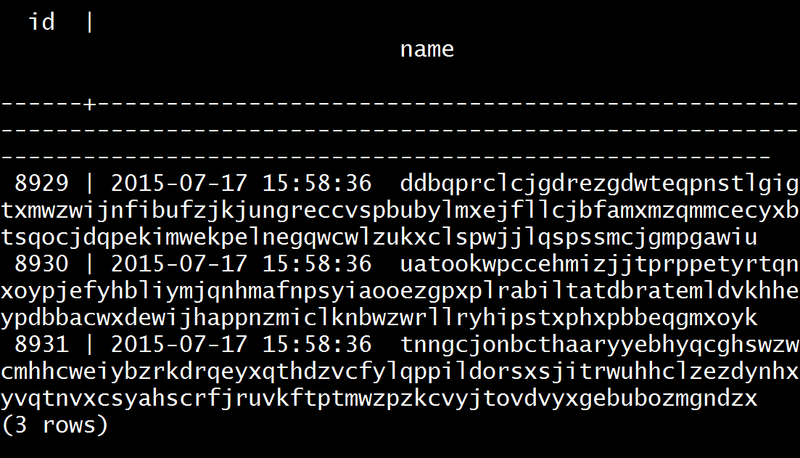 If you want a good script check out https://wiki.postgresql.org/wiki/Automated_Backup_on_Linux . I am going to be using a few ideas from there. echo "Confirming BZIP is valid"
# Backup Complete now notify! STR_TIME="$(($TOTAL_TIME / 60)) min $(($TOTAL_TIME % 60)) sec"
STR_TIME="$(($TOTAL_TIME / 3600)) hours $(( min=$TOTAL_TIME / 60, min % 60)) min $(($TOTAL_TIME % 60)) sec"
echo " DATABASE Backup Complete"
echo " Database save at "
echo " BACKUP took $STR_TIME"
The simple backup script is working, but since I plan to add it to the /etc/crontab jobs it's going to kinda work silently. I want to fix that by having the script output to a Slack room I have. If you don't know anything about slack our how to set up webhooks in slack to post to rooms check out this post I made on the subject. SLACK_URL="PUT YOUR SLACK URL HERE!!!!" slack_post_bad "This script must be run as $BACKUP_USER not "$(id -un)""
slack_post_bad "Directory $BACKUP_DIR does not exist." 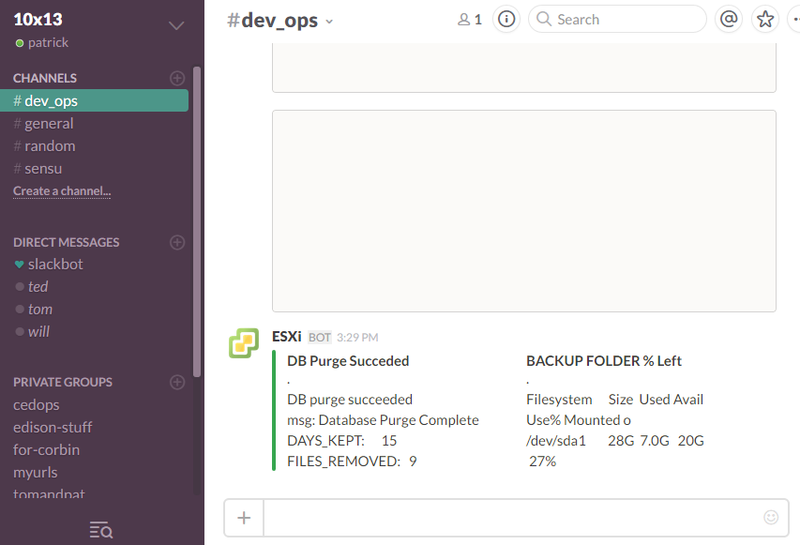 slack_post_bad "Directory $BACKUP_DIR cannot be written to by $BACKUP_USER"
slack_post_bad "BZIP backup is corrupt.\nfile: $FULL_FILE_NAME"
#Get extra information about number of database backed up etc. 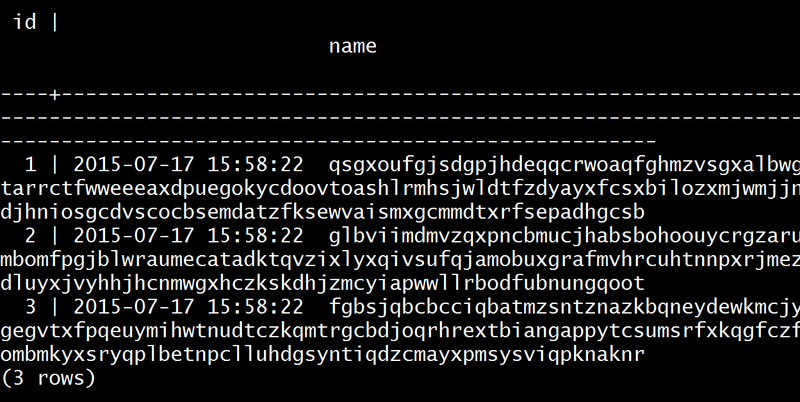 And there is the output all formatted nicely! Now add the backup to the /etc/crontab to run it every day. And add the following to the end. This will run the backup every day at 2:22 AM as the user postgres. Now you need a purge script. If you keep backing up your database every night without removing some files you are going to eventually run out of disk space. 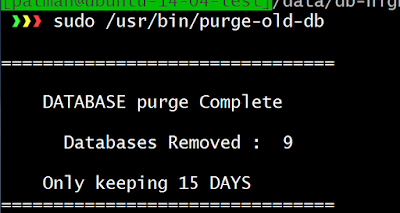 With this in mind I am going to create a simple script to remove database backup files older than X days. This script will report back to Slack and will be run nightly as a cron job. # purge Complete now notify! 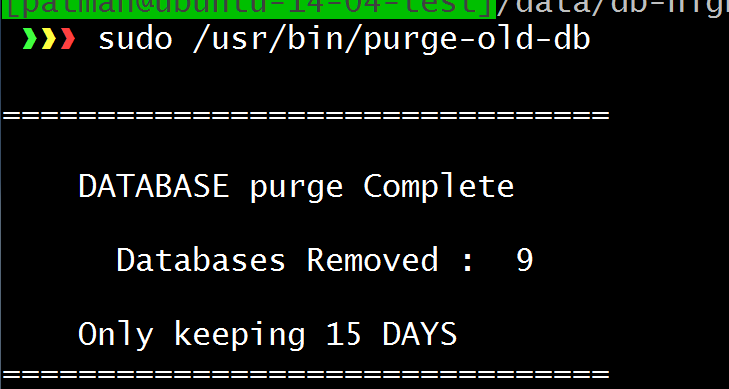 echo " DATABASE purge Complete"
echo " Databases Removed : $NUM_FILES_REMOVED"
echo " Only keeping $DAYS_TO_KEEP DAYS"
You'll probably get this since you don't have any older files.. So let's make a few! slack_post_bad "DB purge failed on DIR\n$BACKUP_DIR"
This will run the backup every day at 3:33 AM as the user postgres. I could wait a few days to let these tests run their course or I can speed it up a bit! 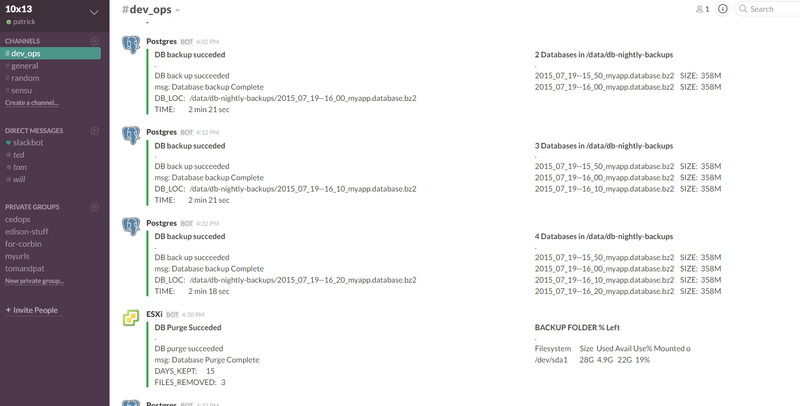 I am going to run a backup every 10 minutes and a purge every 30 minutes (that wipes out the last 30 minutes). Then edit the cron job to run every 10 minutes for the backup and every 30 for the purge. Now sit back for an hour or so and watch it work!